Last week Ultimate Resort and Bombardier announced a strategic marketing agreement. With this new partnership Ultimate joins several other destination clubs that provide their members with special access to private jet companies. Here's a run down on the clubs and their private jet partnerships. There are various options when it comes to private jets, and the destination clubs have partnered with providers that offer each of these options. The biggest commitment of flying time and money is fractional jet ownership. Next in line come jet cards and charter cards, where you commit in advance to a certain number of hours of flying - usually from 20 to 50 hours. The offering with the least commitment is on demand charter, where you just pay for a plane as and when you need it - this is the most common offering for the clubs partnerships. Bombardier has been named the "Official Private Jet Partner" of Ultimate Resort, and Ultimate has been named the "Official Destination Club" of Bombardier. Bombardier is the manufacturer of Learjet and Challenger private jet aircraft. 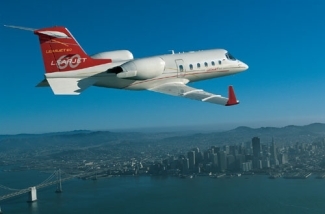 Ultimate Resort Members will have special incentives for purchasing charter flights and jet cards through Bombardiers Skyjet, Flexjet 25 Jet Cards, and Flexjet fractional interests. Bombardier's owners and customers will be offered preferred discounts on Ultimate Resort club memberships, as well as other club membership benefits. The two companies will promote these special offers through their respective marketing channels. The partnership with Sentient Jet allows Solstice members to fly privately to their Solstice homes using exclusive privileges with no funds on deposit, and pay the best Sentient rates on a 'Pay As You Go' basis. Ordinarily, Sentient Jet Cardholders would deposit either $250K or $100K to fly within a "debit card" or "prepaid charter card" format. Solstice Members have access to any plane in the Sentient Jet private fleet with as little as 12 hours notice. 1. The Marquis Jet Card program which offers the NetJets fleet 25 hours at a time with as little as 10 hours notice. Members have access to a dedicated reservation number and exclusive incentives on their first Marquis Jet Card purchase. 2. Executive Jets Management, the charter arm of NetJets. Quintess, LRW has a corporate membership with Sentient Jet, allowing its members to fly to and from any Quintess destinations, paying only for the trips they make. Sentient runs a leading jet charter card program and also offers on demand charters. The partnership with Skyjet International, allows Distinctive members to book flights on the Skyjet service at special "Member's only" rates paying for just the one-way flight time they need. There are no repositioning costs or extras to worry about. All bookings are handled by DHH on members behalf, and can be made at anytime, with as little as 8 hours advance notice. Skyjet International is the global private jet charter and charter card operation of Bombardier providing access to a fleet of over 920 aircraft. DHH notes that the cost is not much more than you would pay for Business Class travel for groups of 6 - 8 people traveling together. Blue Star Jets offers Markers Members 10% off their already lowest published rates for private jet travel. Markers Members receive this special only when booking through the Markers concierge. Blue Star Jets is a leading jet charter brokerage and also offers a prepaid jet charter card. It has access to over 2500 aircraft nationally, and an additional 1500 overseas for any international travel. With access to Helicopters, Turbo Props, Lears, Citations, Challengers, Gulfstreams, Legacy, Falcons, Boeing Business Jets, and everything in between. The other destination clubs don't have specific private jet partnerships, but all of the clubs travel advisors will help members arrange their travel plans, including any private jet travel if that is what you would like. The anecdotal feedback we hear from most of the clubs is that very few members actually fly by private jets, but it is a nice offering and maybe for those one off special vacations it truly completes the trip. With private jet travel you can forget about inconvenient departure times, flight delays, cancellations, security worries, crowding and that long wait for a commercial flight. Read about more of the benefits of private jet travel in this article.